« Medieval construction and lego! Danderhall library are the perfect hosts for an afternoon of science. Join Professor Clive greeted with his tidal wave tank and learn about ocean waves. 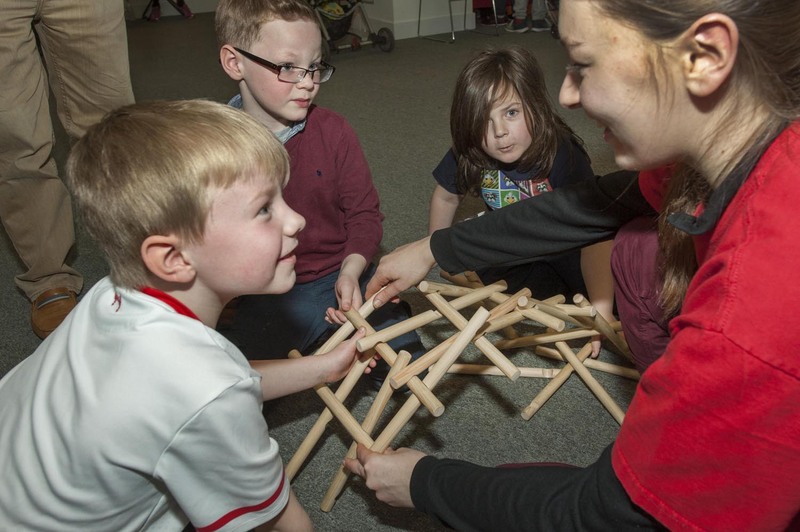 Edinburgh University will be challenging you to build a bridge without nails or glue and to make a curved tower out of straight sticks, and showing you how maths has the answers! We will also be launching rockets, and having the kind of fun which Danderhall does so well!